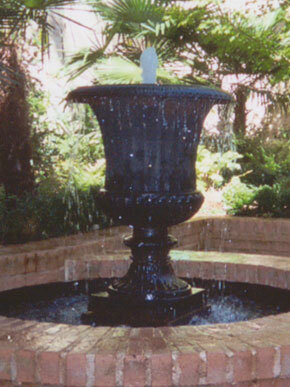 Fountain Solutions LLC, located in Atlanta Georgia is a full service design, installation, repair and maintenance company, committed to the highest quality standards in the fountain industry. With over ten years experience working on all types of waterfeatures throughout the United States we offer a unique perspective on the process of installation of architectural fountains in all settings. Whether you are looking for a small accent fountain for the backyard or a statement fountain at the entrance of a building, church or city we can bring our expertise to you. Using proven construction techniques and the strength of concrete we are able to build our architectural fountains on site. Our services are for residential and commercial applications and we strive to give the customer the highest quality building experience. Please contact us at Fountain Solutions and we can begin the process of designing the fountain that meets all of your needs. We will be happy to work with you on your design and offer a quote for installation.